Waste removal easier than ever! We would like to inform all the individuals browsing our website, that we have finally managed to expand our car fleet by adding large-size trucks to it. What does it mean for people willing to take advantage of our services? Larger vehicles mean that we can load more rubbish at once and due to the fact â limit the amount of work necessary to remove all the problematic items and remains from your backyard, living room, or office. 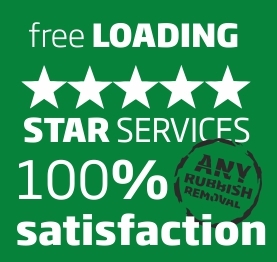 What is more, it has to be pointed out that waste clearance based on the utilization of truck characterized by the capacity to transport more rubbish at once directly translates into us being able to divide our staff into teams of two or three and service more customers in the same time without the necessity to appoint an excessive number of experts to one order, while asking another customer to wait till the next day for his or her trash to be taken out. As it can be easily concluded, waste clearance London based on the use of larger vehicles allows for work optimization, cost-effective operation, and servicing more customers at once. One has also to remember that the expansion of our fleet is not equivalent to higher prices for our services, as we do our best to keep them at the same level regardless of the level of development of our company.